Regarding someone who finishes the Shemoneh Esrei while a person remains standing behind him in prayer, the law is as follows: if he is farther than four amot plus another three steps away from him, so that if he were to take three steps backwards he would not enter into the other’s four amot, he may step back. If he is closer, he may not take steps back until the one reciting the Amidah behind him finishes his prayer. 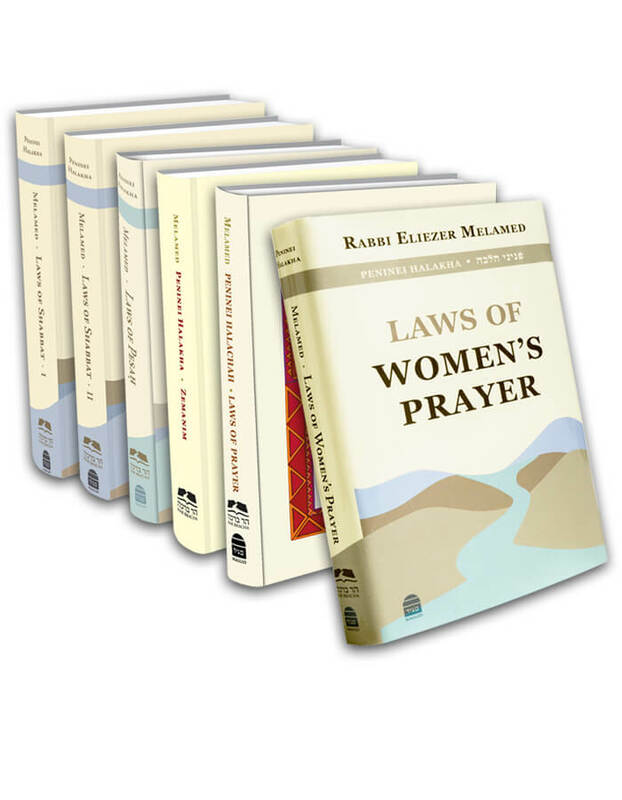 Even if the person behind him began praying late and extends his prayer, he is forbidden from stepping into the other’s four amot. As we have learned, the Acharonim disagree concerning the parameters of the prohibition. According to the Magen Avraham, even if the person reciting the Amidah is not standing directly behind him, as long as by taking three steps back he will step into the radius of the four amot in front of him, he must wait until the person behind him finishes his prayer. According to the Eliyah Rabbah, it is only forbidden to step backwards in front of the person praying if he is standing directly in front of him. But if the person praying is not exactly in front of him, he is permitted to take three steps back. L’chatchilah, it is good to practice like the Magen Avraham, though in times of need one may be lenient like the opinion of the Eliyah Rabbah (Mishnah Berurah 102:18-19). Even in a situation in which the person praying is directly behind him, in extenuating circumstances he may step backwards diagonally, for there are those who explain that according to the Eliyah Rabbah, as long as his steps do not bring him closer to the person praying, he is permitted to step back (brought in the name of the Chazon Ish in the book Four Amot of Prayer, p. 50 and 363). If between him and the person reciting the Amidah stands a person who already finished his prayer, he is permitted to step backwards, since the one who already concluded his prayer constitutes a divider between them, even if the one dividing did not take three steps back yet. In times of need it is also permitted to be lenient when there is a partition that is at least ten tefachim (80 cm; 2.62 feet) high and at least four tefachim (32 cm; 12.598 inches) wide between him and the person reciting the Amidah. Those who wish to be lenient are permitted to regard the big permanent benches in the synagogues as a partition, since their height is at least ten tefachim. Regarding one who cannot step backwards because of the person reciting the Amidah behind him, although he has not yet separated from the Amidah, he is permitted to answer Amen and Baruch Hu u’varuch Shemo and to recite all the prayers. If the congregation reaches Tachanun, he is permitted to sit and recite it, on condition that he does not sit directly in front of the other’s face. After that, he stands again in his place and when the person praying behind him concludes his prayer, he can take three steps backwards and say Oseh shalom (Mishnah Berurah 122:4 and see 104:9; also see earlier in this chapter, halachah 13).
. A person is considered a divider, as explained in Beit Baruch 26:23, Az Nidberu, part 3, 45; part 6, 47, and Ishei Yisrael 29:9. Regarding a partition ten tefachim high, there are poskim who forbid it, since it is too low and the person reciting the Amidah is likely to see the person in front of him taking three steps back and become distracted, as implied in the Mishnah Berurah 102:2. According to the Eshel Avraham 102, even if in front of him there is only a shtender (lectern) (which is not a valid partition), the person in front of him is permitted to step backwards or pass in front of the other praying behind him. He explains that this prohibition is based on the fact that the person reciting the Amidah behind him will be concerned that perhaps he will bump into him, but if there is a shtender between them, there is no such concern. This applies even more so in regard to a valid partition. The Aruch HaShulchan 102:13 writes that a partition can be used. Synagogue benches are sometimes open from the bottom, and if there is a space of more than 24 cm (9.45 inches, three tefachim), then they are not considered a divider. However, in general, when a person prays the Amidah, he usually puts his seat up, which leaves less than 24 cm between the bottom wooden board and the seat, and therefore it is considered to be a partition. Even when the space is larger than 24 cm (9.45 inches) and it is not considered to be a valid partition, according to the Eshel Avraham, since the person praying is not concerned that people will bump into him, one is permitted to step in front of him. One who wishes to be lenient is permitted to rely on his opinion. Even when the seat is a valid divider, it seems that it is not proper to sit directly in front of the person praying, for then the person praying will appear to be prostrating himself before him (as explained in halachah 17, note 15, of this chapter).
. The Ohel Mo’ed is stringent, and there are those who do not take his opinion into consideration, as written in Pri Chadash. Ben Ish Chai, Yitro 6, writes that the custom is to act leniently, as writes Yalkut Yosef 102:2. However, many Acharonim are stringent, as both the Mishnah Berurah 102:9 and Kaf HaChaim 10, write. Even to stand in front of him within his four amot, l’chatchilah is not proper, so he does not appear to be prostrating himself before him, see Mishnah Berurah 102:8-9. The measure of approximately “within a person’s eyesight,” concerning the matter of getting up for a talmid chacham, is defined in the Shach, Yoreh De’ah 244:8 as 266 2/3 amot (approximately 128 meters; 419.95 feet). However, it seems that in any case in which the person reciting the Amidah does not appear to be bowing down to the person in front of him, either due to the distance between them or the conditions of the area, there is no need to be stringent.The Mishnah Berurah 102:2 writes that if there is a partition with a height of 10 tefachim (80 cm; 31.49 inches) and a width of 4 tefachim (32 cm; 12.59 inches) between the person praying and himself, he may sit. Although a partition cannot be used to allow someone to pass by the person praying, since passing by will disturb his kavanah, sitting is nevertheless allowed, since for that, the partition is effective. According to the Chayei Adam and Eshel Avraham (Butshatsh), when there is a partition, one is even allowed to pass by the person praying. However, it seems that it is proper to be stringent regarding sitting directly in front of the person praying, so that he will not appear to be prostrating himself before him.I did not differentiate between the sides of a person and behind him. However, see Beit Yosef and Darkei Moshe who explain that some poskim rule that there is no prohibition against sitting behind a person praying, even within his four amot. Still, in practice, the Acharonim agree to forbid sitting behind him, as explained in the Mishnah Berurah 102:3 and Kaf HaChaim 4.